Dane Cherry and Melissa Westman-Cherry – Washington, D.C. Going solar through the co-op was a simple and easy experience – plus I met some very nice folks throughout the process. 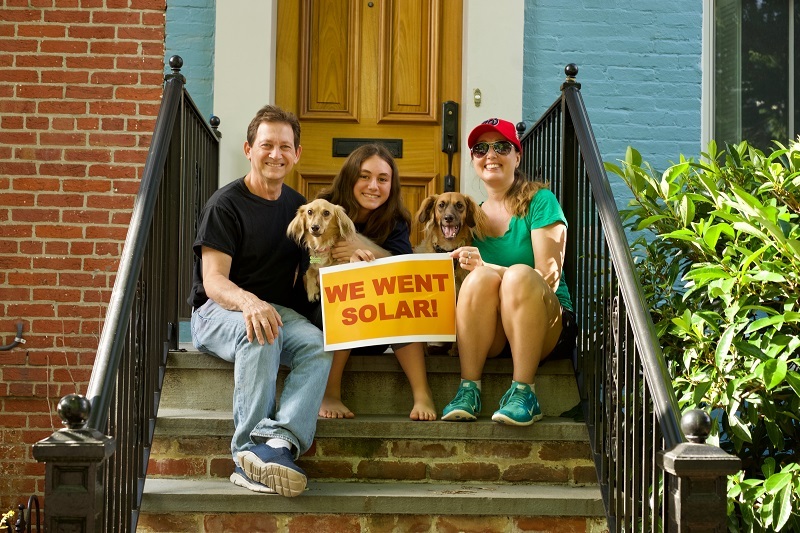 Dane Cherry and Melissa Westman-Cherry, Solar homeowners – Washington, D.C.
[We went solar to] help the environment and hopefully reduce our cost for electricity as well. Why did you decide to go solar with the co-op? Experts were able to better explain the entire process of going solar as opposed to relying on the solar companies themselves. Do you have any data on your solar system’s performance? I do look at the meter every day and there are days where we produce more electricity than we use – especially when the air conditioning isn’t running! Going solar through the co-op was a simple and easy experience – plus I met some very nice folks throughout the process. I highly recommend using a co-op if anyone is interested in adding solar energy to their homes. We help you understand emerging technologies and how new policies can affect your solar investment. Join the movement to build a new energy system with rooftop solar as the cornerstone.